If you’re going camping, you may find that all you need for your camping cookware is one dutch oven. 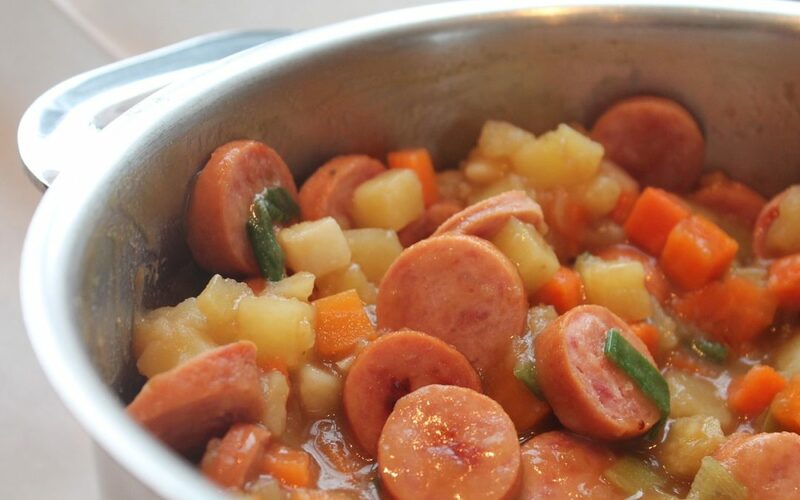 Here are some great Dutch Oven one-pot recipes to get you started. Options: Diced potatoes, crumbled bacon or sausage (or both), sweet peppers or green pepper. Blend eggs, mushrooms, and cheese with onions, garlic, and desired seasonings add in any options mentioned above. Grated carrot, strawberries, oranges, lemon rind, blueberry, your favorite jam (with fresh fruit if desired). Use a layer of honey, maple syrup or brown sugar to sweeten. Add in any vanilla or flavoring is using. Place lid on top and set into coals for about 15 to 20 minutes and serve warm.